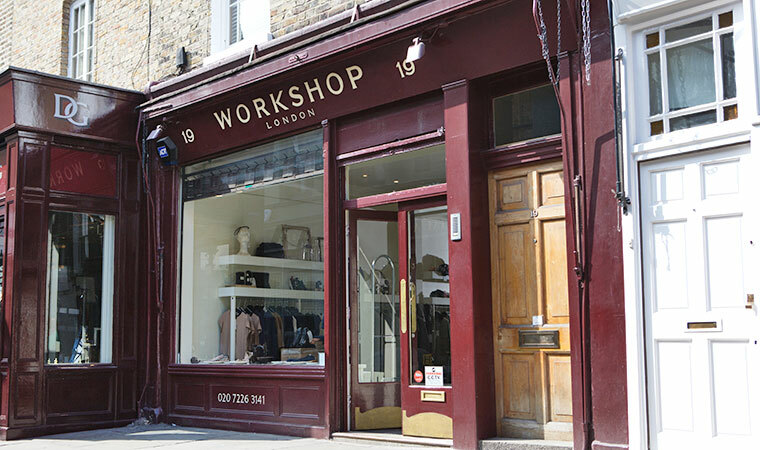 Opened in 2009, Workshop presents a selection of innovative independent designers hard to find in London. The name Workshop was chosen after its crucial role as a testing ground for the "in-house" collection, Harris Wharf London. Started in 2010 by designer Giulia Acchiardi, this brand traces its roots to 1928 when the designer's great-grandparents started a glove factory in Turin, Italy. The Harris Wharf London collection draws its strength on its design and fabric choice, rigorously knits and entirely made in Italy. The production is still made in the Turin family factory with only the Man's wear produced in London. At Workshop, you will find the latest creations and experiments of Harris Wharf London, cherished by a selection of carefully researched independent designers, sharing the quality and taste that defines Workshop.